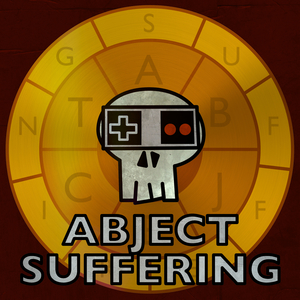 Every month, we release a bonus episode of Abject Suffering, as part of a premium show we call Exquisite Suffering. These episodes are first available for our Patreon backers at the $5+ tier, and then they become available on the Duckfeed.tv Store. After a while, these episodes are bundled up into seasons and sold at a discount. This season ran from September 2015 to January 2016. It's also available as a bundle. Get all of the episodes for $6 US! This season ran from February 2016 to July 2016. This is the current season. Get the most current episode by backing us on Patreon!